I chanced upon this title while surfing d Internet for some information about unatural deaths in Singapore (yes it’s morbid but very interesting) and decided to head down to Borders to look up this book. Flipped thru it and felt that it’ll be a good book for easy reading. Mind you I’m one of those that hated history lessons. But this book is more than the history of Singapore, it includes interesting stories like the King of Siam bringing us the gift of a little bronze elephant in the 1800s which is still displayed till today. And Sir Stamford Raffles possible local mistress?! In fact almost everything is interesting n easy reading. If only our Singapore history textbooks in schools are this fun to read then studying wouldn’t be so much effort! Go buy it and find out a whole lot more about our homeland! Great easy reading for both the foreigners and locals! 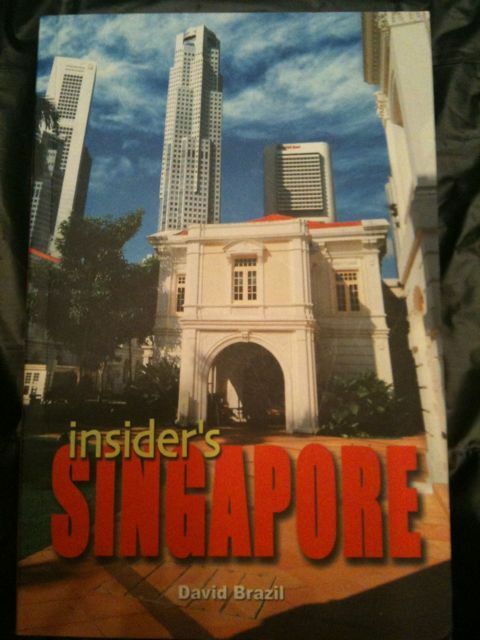 Title : Insider’s Singapore by David Brazil. $25.90 from Borders.